Are you looking to replace your old door? Give us a call we know all about interior & exterior doors, now offering free estimates in union county NJ. 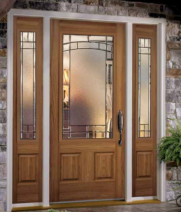 Doors can really enhance and add value of your home New Jersey, We offer door replacement service. We help homeowners improve the appearance and increase value of their homes by replacing their old, flat interior doors and front entry doors with new beautiful doors. We Install closet doors, french doors, Interior doors, Patio doors, Sliders and front entrance doors at very affordable prices and hassle-free service. Over the years, we've installed many many doors. Whatever your taste or budget, we are sure we can provide the right doors for you. All steel construction means no exposed wood to warp, rot, bow or splinter. Passes the industry's most stringent security tests. 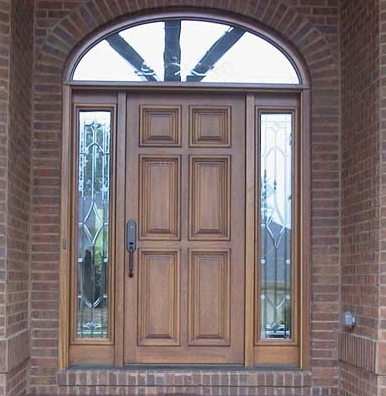 Meets or exceeds current federal and state energy codes for residential doors. The stainable steel has an embossed wood grain texture with an architecturally correct stile- and rail-grain pattern. frame, hardware accessories, hinges, weatherstripping and threshold. Offers four times greater insulation performance than a wood door. Fiberglass is proven far superior to wood in strength, weatherability and durability. Triple blade bottom sweep helps eliminate air and water infiltration and is not affected by temperature extremes. Full thermal break with the wood stiles creating a full 1-3/4" thermal barrier between exterior and interior skins. This ensures the best thermal protection available. frame, hardware accessories, hinges, weatherstrip ping and threshold.